All wraps come in 9 or 5 piece trays. Chicken with Roasted Peppers & Mozzarella Wraps Breaded chicken cutlets, marinated fire-roasted peppers, shredded mozzarella cheese, in a sun-dried tomato basil tortilla. Grilled Chicken & Vegetable Wraps Grilled chicken, yellow and green squash, red onion, plum tomatoes, in a light garden tomato sauce, in a southwestern-flavored tortilla. Balsamic Grilled Chicken Wrap Grilled chicken, quartered artichoke hearts, scallions with a light balsamic marinade, in a sun-dried tomato tortilla. Southwestern Steak & Rice Wrap Pan-seared steak tips, southwestern flavored rice, green and red peppers, in a southwestern tortilla. Seafood Combination Wrap Fresh-cooked shrimp, crab legs, stew cut celery, in an Old Bay-seasoned mayonnaise sauce, in a lemon cilantro tortilla. Eggplant Parmigiana Wrap Fried eggplants, mozzarella cheese, tomato sauce, in a red roasted-pepper tortilla. Grilled Vegetable Wrap Fresh eggplants, green squash, yellow squash, button mushrooms, red and green peppers, red onion, all flame grilled and marinated with a light balsamic dressing, in a spinach tortilla. Tuna Fish Wrap Our famous tuna fish salad with fresh cut carrots, stew cut celery, in a southwestern tortilla. Turkey with Muenster Cheese Wrap Sliced oven-roasted turkey breast, muenster cheese, romaine lettuce, Dijon mayonnaise, in a whole wheat tortilla. Chicken Parmigiana Wrap Italian breaded chicken cutlets, mozzarella cheese, tomato sauce, grated Romano cheese, in a red roasted-pepper tortilla. Caesar Grilled Chicken Wrap Grilled chicken, chopped greens, traditional Caesar dressing, in a Caesar-flavored tortilla. Meatball parmigiana Wrap Traditional family recipe meatballs, mozzarella cheese, tomato sauce, grated Romano cheese, in a red roasted-pepper tortilla. Turkey Club Wrap Freshly sliced oven-roasted turkey, cooked bacon, American cheese, lettuce, mayonnaise, in a white flour tortilla. Grilled Chicken with Spinach & Feta Wrap Grilled chicken, sautéed spinach, crumbled feta cheese, in a spinach tortilla. Chicken Bacon Ranch Wrap Chunks of Grilled Bacon, crispy bacon, chedder cheese, lettuce, tomato and ranch dressing in a white flour tortilla. Southwest Chicken Chipotle Wrap Grilled chicken, cheddar, lettuce, tomato in a southwestern chipotle ranch dressing wrapped in a southwestern tortilla. Philly Cheesesteak Wrap Sliced steak, sautéed onions, American cheese, in a flour tortilla. Mexican Chicken Burrito Pan fried chicken chunks, Mexican style rice, beans, red and green peppers, Mexican spices in a flour tortilla. Mexican Vegetable Burrito Yellow squash, green squash, Mexican style rice, beans, red and green peppers, Mexican spices in a flour tortilla. Mexican Beef Burrito Pan-fried beef strips, Mexican-style rice, beans, red and green peppers, Mexican spices, in a flour tortilla. Mexican Chicken Fajita Chunks of grilled chicken, red and green pepper, fresh tomatoes, authentic picante sauce, Mexican spices in a flour tortilla. 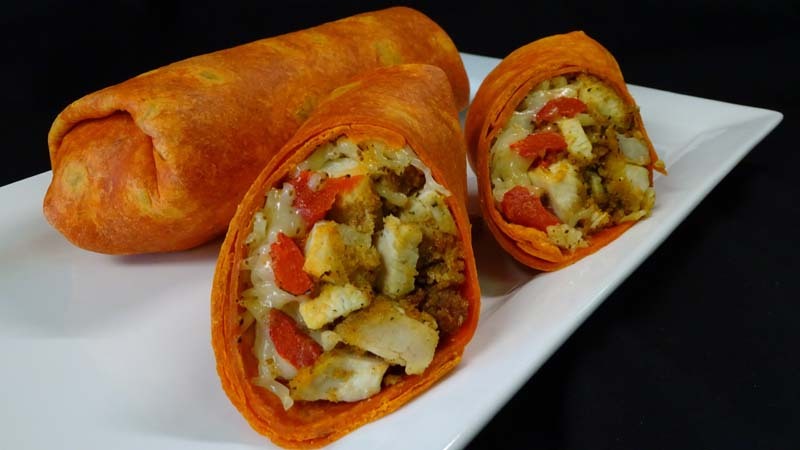 Buffalo Spicy Chicken Wraps Breaded white meat chicken, bleu cheese dressing, hot sauce in a white flour tortilla. Chicken Fontina Wrap Grilled chicken, fontina cheese, arugula, roasted peppers, fresh parsley, and peppercorn mayo, in a rosemary garlic tortilla. Black Bean Quinoa Wrap Grilled chicken, quinoa (white and red), black beans, corn niblets, pepper jack cheese, lime mayo, in a black bean tortilla. Teriyaki Sesame Chicken Wrap Teriyaki grilled chicken, fresh ginger, garlic, sesame seeds, sesame oil, hoisin sauce, shredded carrots, red bell pepper, scallion, chow mein noodles, in a Thai ginger tortilla. Sesame Chicken Wrap Brown rice, grilled chicken, shredded carrots snap peas, arugula, scallion, sesame seeds, plum sauce, in a mandarin orange tortilla. Texas BBQ Wrap BBQ grilled chicken, sautéed red onions, cilantro, mozzarella and cheddar cheese, with an avocado spread, in a Texas BBQ tortilla. Baked Ziti Cooked pasta, slow-cooked Italian tomato sauce, ricotta cheese, grated cheese, and mozzarella cheese melted on top. Cheese Lasagna Cooked strips of lasagna layered over ricotta cheese, mozzarella cheese, grated cheese and our famous tomato sauce. Lasagna with Meat Cooked strips of lasagna layered over ricotta cheese, chopped meatballs, grated cheese, mozzarella cheese and our famous tomato sauce. Lasagna with Vegetables Cooked strips of lasagna layered over ricotta cheese, sautéed spinach, onion, green zucchini and grated cheese with our famous tomato sauce. Stuffed Shells Fresh-made large pasta shells stuffed with ricotta cheese, parsley, grated cheese in our famous tomato sauce. 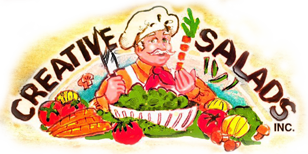 Meatballs with tomato sauce Authentic Italian meatballs from our own family recipe, chopped beef, parsley, garlic, oregano, and grated cheese with our famous tomato sauce. Chicken Parmigiana Italian-style breaded chicken cutlets in our famous tomato sauce, topped off with grated cheese and melted mozzarella cheese. Eggplant Parmigiana Italian-style sliced breaded eggplants in our famous tomato sauce, topped off with grated cheese and melted mozzarella cheese. Chicken Marsala White meat chicken tenders floured and fried in butter then sautéed in a marsala wine sauce with onions, mushrooms and parsley. Chicken Francaise White meat chicken tenders floured and fried in butter then sautéed in a lemon-butter sauce with a hint of white wine, with mushrooms and onions. Sausage & Peppers Real pork store sausage pan-fried with red and green peppers, onions and garlic. 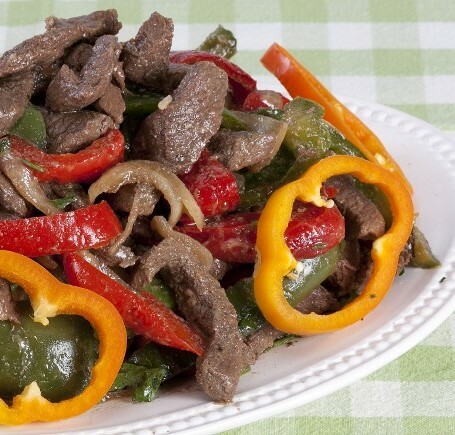 Pepper Steak Fully cooked pan seared beef strips with red peppers, green peppers, onions and seasoned to perfection. Swedish Meatballs Small beef meatballs in a brown gravy cream sauce. Macaroni & Cheese Perfectly cooked elbow macaroni with our two cheese sauce with cheddar and American cheese. Breaded Chicken Cutlets Chicken cutlets breaded with Italian bread crumbs, fresh parsley and grated cheese.